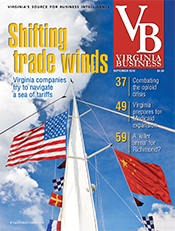 Virginia Business celebrated the 100th anniversary of its partner in the Super CPAs this year by coming up with a new way to count the votes. 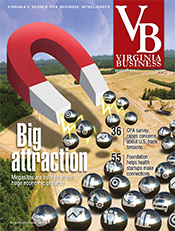 Since 2001, the magazine has recognized the state’s top CPAs with the help of the Virginia Society of Certified Public Accountants (VSCPA), which observed its centennial last month. 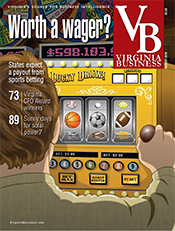 In the past, VSCPA members have voted for CPAs in 12 fields of accounting, primarily by using paper ballots. This year, however, they voted using an electronic ballot that the magazine provided by e-mail and on its Web site. Special Projects Editor Jessica Sabbath worked with DataJoe LLC, a Colorado-based research software company, to develop the ballot. 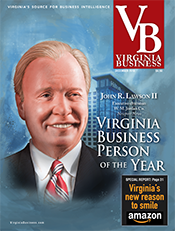 Each ballot contains the names of all CPAs registered with the Virginia Board of Accountancy. As voters begin to type the names of Super CPA nominees, the ballot provides a short list of possible matches. Voters then can click on a name or continue to type “write-in” nominees. The system is designed to make voting quicker and eliminate potential errors from misspellings and the use of nicknames. 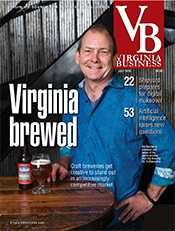 DataJoe now is using the Virginia Business prototype to offer similar services to other publications around the country. This year’s Super CPA list includes 284 names, roughly 25 percent of the 1,131 people nominated. The following pages list the CPAs by category. In addition, one CPA from each of the 12 disciplines is briefly profiled. Each profile subject was selected from the top 10 vote getters in his or her field. Top vote getters who have previously been profiled were not considered. 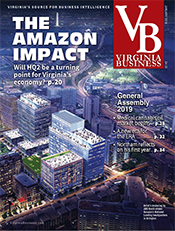 Release of the latest Super CPA list comes close on the heels of VSCPA’s centennial celebration at its offices in the Innsbrook Corporate Center in Henrico County. The event commemorated the society’s founding on Oct. 6, 1909. 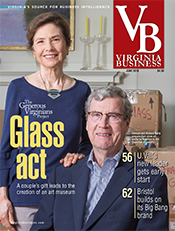 Nineteen charter members started the organization to draft legislation creating the Virginia Board of Accountancy. 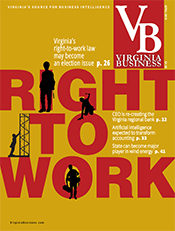 The General Assembly passed the bill the next spring, making Virginia the 21st state with a regulatory board for CPAs. The certified public accountant designation then was still relatively new. New York passed the first state law establishing the designation in 1896. The first state CPA society was organized in New Jersey in 1898. 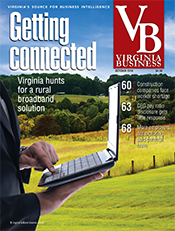 Today, VSCPA has more than 8,700 members. 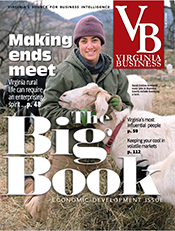 In honor of its 100th anniversary, 600 members worked on 55 volunteer projects across the state during Virginia CPA Week in September. 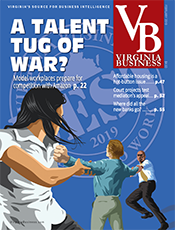 CPAs have been in high demand in recent years as businesses cope with intricacies of taxes and regulations such as the Sarbanes-Oxley Act of 2002. As a result, interest in accounting among college students is climbing. The American Institute of Certified Public Accountants (AICPA) reports that 66,000 students received bachelor’s or master’s degrees in accounting in the 2007-08 school year, the latest year that data is available. That figure represents a 3.5 percent increase from the previous year. AICPA says enrollment in undergraduate, graduate and doctoral accounting programs totaled 213,000 students in 2007-08, up 4.7 percent from 2006-07. Profile: Robert M. Moore Jr.